Thomasina's Purrls Of Wisdom About Cats: Do Cats Get Bored With Their Food? Do Cats Get Bored With Their Food? Do cats get bored with their food, Thomasina? I just bought my cats a whole case of the food they've been eating for years. They ate three cans, and now they won't touch it. Why are they being so stubborn? Oh. My human typist just said I don't need to share all the details about our outdoor diet. Guess I should concentrate on cat food. Having the same kind every day gets so tiresome, and eventually some cats get so bored with their food, they just don't eat. While it's true that cats get bored with their food, there's are other problems with feeding the same thing all the time, too. But first, did you know that cats are very careful about what we eat. While you might think we're finicky, we're just being cautious. If we lived outside and ate spoiled food, we could get so sick we wouldn't be able to hunt or defend ourselves. Instinct tells us to avoid food that doesn't smell or taste familiar and safe. This is interesting. The same food from different stores or different online retailers can smell or taste just different enough to keep us from eating it. The cats at our house won't eat food from Chewy.com! If you got your case of food at a different store, it's possible that it doesn't smell right to your cats. My human typist suggested mixing some food from the old and new cans together. Your cats might eat it that way. But I got sidetracked.Here are two problems with feeding the same food all the time. 1. If the manufacturer changes even one tiny ingredient, the cats may notice the difference and refuse to eat the food because they think it's unsafe. And if the manufacturer stops making the food, you're really in trouble. The cats will have to learn to eat something entirely new. 2. Eating the same food day after day, year after year, can lead to a food sensitivity. I have no idea what that is, but my human typist says it can cause major stomach upset. That sounds really bad! 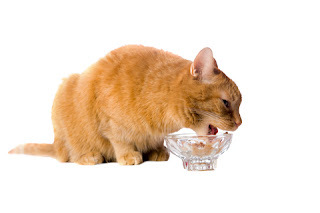 It's really best for your cats to eat a variety of flavors and brands of food. If they're not used to eating different things, introduce each new flavor and brand gradually, just a bite or two at a time. That way, you won't upset their stomachs. Our human has written a lot about feeding cats. Here are some links for you. I hope this helps, Frustrated. If you'll excuse me, I have to go now. Our human needs help deciding what we'll have for dinner. Soda will choose his favorite chicken. I really don't want that, but he could eat it for every meal. He seems to forget that cats get bored with their food! It is not always all that easy to feed your gib the best cat food. 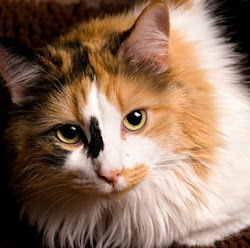 With so many options available it can be quite daunting picking the best cat food for your gib. When you start your search for the best cat food for your gib you should start by identifying what is the perfect cat food and what your gib requires in order to grow properly.